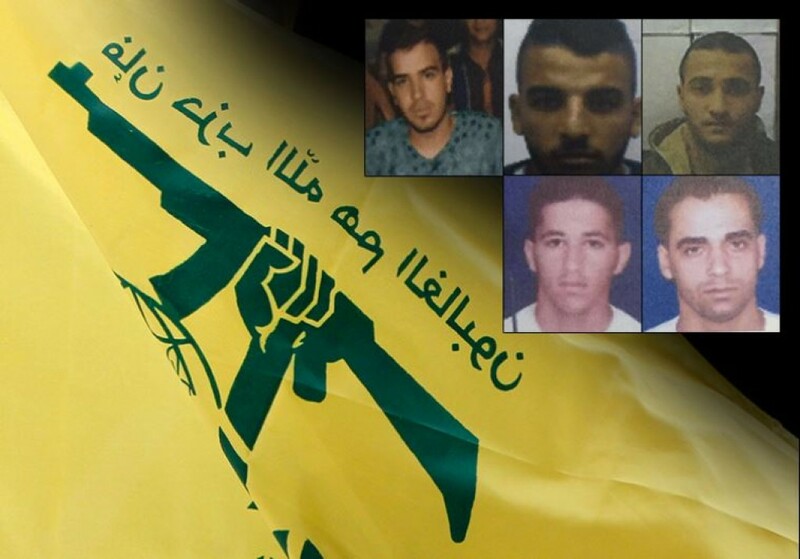 Israeli security forces announced last week their dismantling of a five-man terror cell from the West Bank city of Tulkarem, jihadists who were recruited by Hezbollah’s secretive Unit 133. The men were instructed to gather intelligence information on Israel Defense Forces (IDF) training facilities for attacks and prepare a bomb for use in a suicide operation against civilians. The foiled plot was Hezbollah’s latest attempt to stir up Israeli-Palestinian violence, exploiting the conflict to improve its tarnished image while bogging down Israeli forces in a battlefield far from its home base. Hezbollah established Unit 133 in the early 2000s, to focus its operations on Israeli targets both domestically and across the Middle East and Europe. Unit 133 relies primarily on human intelligence activity, luring recruits with money. Due to the nature and purpose of the Unit’s activities, it does not exclusively draw on Shia Muslims for recruitment. Recruits are given broad security and military training, charged with recruiting new assets as well as intelligence collection, target acquisition, surveillance, reconnaissance, managing sources and establishing cover stories. For its operations within Israel, the unit was tasked with recruiting intelligence assets and terror operatives from among Palestinians in the West Bank and Israel’s Arab citizens. To accomplish that, it turned to Lebanese drug dealers who work with Israeli-Arab smugglers. Unit 133 has been linked to previous attempts, some unsuccessful, to carry out attacks within Israel. In April 2012, for example, it tried to smuggle 24 C-4 explosive devices, M-16 rifles and other weapons past Israel’s border with Lebanon through Israeli-Arab smugglers. The goal was to have one of the Unit’s cells within Israel use the materials to carry out a mass-casualty attack, but the attempt was foiled by Israel’s Shin Bet security services before they reached their intended recipients. Last summer, Israeli security forces arrested Hezbollah operative Hassan Khalil Hizran, a dual Lebanese-Swedish citizen, at Ben-Gurion Airport. Hizran was to report on the airport’s security procedures, recruit Israeli Arabs with ties to Israeli civilians or military personnel, and gather intelligence on military targets. This newest cell, taken down last week, was put together and funded by Hezbollah chief Hassan Nasrallah’s son, Jawad. He instructed the men to recruit more Palestinians and Israeli Arabs, providing them with $5,000 to acquire the necessary weapons and materials for the intended attacks. Israeli security officials said the cell hoped to reignite the months-long wave of Palestinian violence that has waned in recent weeks. Hezbollah likely hoped the attacks would be the catalyst for turning the violence into a real Intifada, or uprising, on par with the bloody Al-Aqsa Intifada of the early 2000s. Beyond simply killing Israelis, Hezbollah has much to gain from such a heightened level of violence. For one, full-blown violence would refocus the ire of Sunni Arabs (particularly the wealthy Gulf states) on what they insist is the “central cause” of the Arabs – Palestine – and away from Hezbollah and its Iranian masters. Sparking another Intifada would also improve Hezbollah’s image on the Arab street, allaying some of the anger directed at it over its involvement in the Syrian civil war. It would allow Hezbollah to portray itself as primarily fighting Israel, while – unlike during the 2006 war – keeping the fight away from Lebanese soil. Finally, if Israel were once again plagued with frequent Palestinian suicide bombings and large-scale attacks as in the early 2000s, the IDF would become bogged down again in counter-terror operations in the West Bank, severely reducing its ability to act against Hezbollah – either in Lebanon or Syria. I don’t think this is going to last. Sunnis and Shias never work hand-in-hand.This sectarian issue is their worst enemy, not Israel. The enemy of my enemy is my friend. It could also be a fact that the Hesbalah may be trying to stir Gazans away from the IS that’s burgeoning in the Sinai Peninsula. Many Gazans also traverse there via tunnels and perhaps are being offered aid by IS and jihadists groups aligned with IS.